Note: this is not a critique of the Ultranet, rather it is advice on choosing the best platform for your students to get the most out of blogging. Their school leadership has told them to use the Ultranet for blogging rather than platforms such as Global2, Edublogs or Blogger and they don’t know what to do. I believe this advice is fuelled by a lack of understanding of how the Ultranet works, how blogging works and what the benefits of blogging are. People who are advising others to use the Ultranet to blog probably aren’t bloggers themselves and I am hoping this post can help them realise what teachers would be missing out on if they chose the Ultranet as their blogging platform. As I highlighted in this post, there are many benefits of blogging, most of which cannot be achieved with a blog on the Ultranet. For those readers outside of Victoria, the Ultranet is a multi-million dollar online portal released in 2010. The Ultranet is a state-wide, secure site that students, parents and teachers in government schools can access via the internet. A large number of security guidelines means that students and classes are very limited in who can view their Ultranet spaces and who they can connect with. The Ultranet has an application called a blog, however it has its limitations which I will discuss further. What’s wrong with blogging on the Ultranet? I like to call blogging on the Ultranet, “pretend blogging”. To me you may as well be writing a “blog” in a Word document or in an exercise book. The Ultranet is a closed space with limited features or audience. My main issues with blogging on the Ultranet rather than on a regular blogging platform are lack of global connections, lack of classroom community, lack of authentic audience, lack of features and lack of opportunities to authentically teach about internet safety. I have found the global audience to be one of the most exciting benefits of blogging. 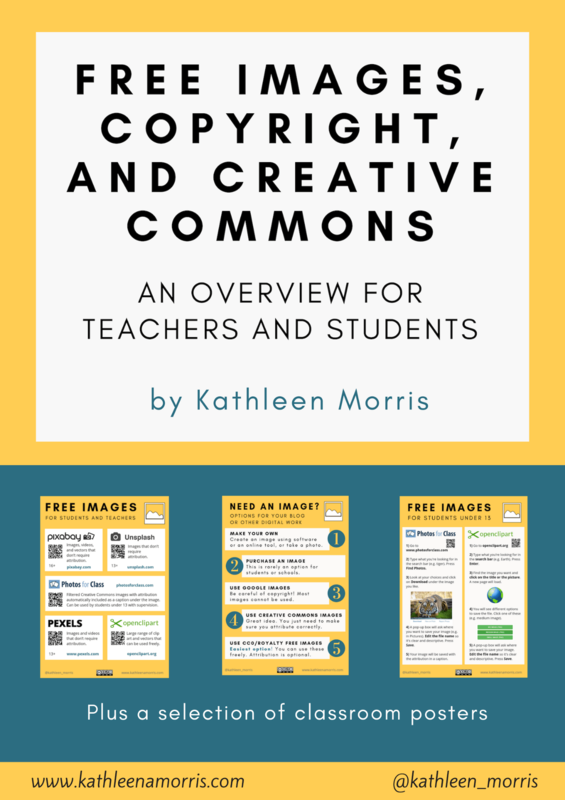 Real blogging can help flatten the classroom walls and the benefits of these connections are incomparable. A sense of understanding and tolerance develops and students learn a lot about the world in which they live. My class has connected with classes from all corners of the globe through our class blog and the learning has been priceless. A day doesn’t go by in our classroom where we don’t have some form of interaction with our global blogging buddies. This would not be possible with an Ultranet blog. There would be no chance of any visitors outside of Victoria seeing the “blog”. A real sense of community has developed each year through my class blog. We have a class mascot, Leo the Lion, who features prominently on our blog and we have established a place in the global blogosphere. We could not have developed our identity with a blog that had no real audience. Our class blog is a place where students, parents, teachers and classes around the world come together and interact. They can learn about who we are and what we are up to while sharing their own experiences with us. With the restrictions placed on accessing the Ultranet, this would not be possible with an Ultranet blog. In the traditional classroom, the only audience of student work was the teacher and sometimes classmates and parents. (Real) blogs provide a much larger audience for student work and an avenue for feedback and self-improvement through commenting. I have found students are more motivated by knowing they have a large and genuine audience for their work. The Ultranet does not provide much more of an audience for student work than traditionally existed when students did all their work in exercise books. How many people would be looking at a student or class Ultranet blog? The aesthetics and features of Ultranet blogs are extremely basic which adds to my claim that Ultranet blogging is “pretend” blogging. There isn’t overly much you can do with your Ultranet blog. To provide just one example, we start each day looking at the Clustrmap of our global visitors on our class blog. This is such an authentic way to learn about maths and geography. There are no Clustrmaps or many of the other wonderful web 2.0 tools out there available for Ultranet blogs. This image demonstrates the appearance of an Ultranet blog. Real blogs are on the internet for everyone to see. Through being heavily involved in blogging, my Grade Two class has opportunities almost every day to discuss cyber safety issues and appropriate online behaviours in an authentic setting. We establish blogging guidelines that help students understand how to behave safely online. With the Ultranet being so heavily protected, how can teachers and students have genuine discussions about how to connect safely with others and how to protect their identity? Someone once pointed out to me that while they realise all these arguments are valid, teachers could use the Ultranet for blogging with a local audience and another platform for blogging with a global audience. My question is why? Blogging platforms such as Global2, Edublogs and Blogger are far superior and incomparable to what the Ultranet has to offer. They cater for local and global audiences while offering many other features and benefits. As a teacher, I don’t have time to dedicate to “pretend” blogging on the Ultranet as well as real blogging. Do you? The Ultranet may have other valid uses in the classroom but to me, blogging isn’t one of them. I couldn’t agree more with you Kathleen. Thanks for articulating these options for other Victorian teachers to use with their leadership teams. I think there are many possible uses for the Ultranet and it’s closed nature makes it ideal for things like parent access to student results etc but certainly not for blogging. @ Anne, thanks for your support. I was quite surprised that the question “why don’t you use the Ultranet for blogging” has been going round so much. It just shows that there is a huge lack of understanding out there. I really hope this posts helps lots of people see the issue more clearly. I wouldn’t want anyone to miss out on the benefits of blogging! Thanks SO much for, and Congratulations upon, the outstanding way in which you expressed your opinion (which runs parallel with my thoughts) on the Ultranet vs Edublogs.I am disappointed by the insular approach of the Ultranet and find myself largely ignoring it because it doesn’t offer any of the warmth and connection of Blogging through Edublogs or the incredible PLN opportunities found on Twitter. We need to be helping our students become Global Citizens (not just computer savvy Victorians)and you are doing an exemplary job of that through your Class blog. I’m glad my opinion came across clearly! It’s nice to hear there are others with parallel thoughts. It’s so great to be able to connect with like-minded people online. As a Lead User I have to familiarise myself with the fundamentals but I too am finding I am largely ignoring the Ultranet because of the superior and more collaborative tools out there. I live in hope that the Ultranet might improve! This is definitely a question I have been asked on a number of occasions also. And I too feel that the Ultranet blog and Global blogging have different purposes. I use blogging professionally, personally and we also have a class blog. I use these to share ideas, reflect and gain an authentic global audience – which is the same reason we have a class blog. I feel the Ultranet blog has its purpose also. It is a great place to share reflections about learning specifically. I am using my Ultranet blog to reflect about my teaching. The students in my class are also using a blog as a reflection tool too. They can share ideas and put into writing the thoughts they have about their learning with a limited audience. As I can with mine. I know all of the people who can see my Ultranet blog and this therefore impacts on what I put in it compared to my global2 blog. I believe there is a purpose for both and I have found the sharing I do on both of these platforms are different. I couldn’t for go one for the other and would be devastated to have to choose one over the other. Thanks for sharing your thoughts. You’ve certainly shared a different viewpoint from others. I’m glad to hear you’ve found a purpose for Ultranet blogs. Like all tech tools, it’s about finding what works for you. For me, Ultranet blogging doesn’t help me to meet the goals I have for myself and my students, however I probably use other tools that might not work in your classroom! A good teacher needs to know how to use the right tools to meet their students’ learning needs. Have been following your blog for a while now and am loving the posts. Your latest one i could not agree more with. As promising as the Ultranet was pushed to be, it’s features i feel have yet someway to go before it can begin to replace other means of Social Media. Thanks for your comment and I’m glad you’re enjoying my blog. I agree that the promotion of the Ultranet is a little different from the reality. It’s great to see teachers like Mel Cashen making the most of it, however I’ve found more benefits from other tools (like Global2 blogs). Is this the same Ultranet setup that schools are using in New Zealand? I’m not familiar with it, but many schools are getting ‘Ultranet’ here and I was wondering and worrying about the issues you mention. I help schools set up blogs using Blogger, but have some starting to ask if they can use Ultranet. Thanks for you comment. No it’s not the same. The same name for the Victorian and New Zealand portals has been a bit confusing on Twitter too! The Victorian Education Department had a private tender create the Ultranet. If you find out more about what NZ’s Ultranet involves I’d be keen to hear! Hopefully it is more open and has more features than our Ultranet. Hello! Hooray for your post! I agree! Now that I got that out of my system, I would like to add that I don’t think anybody should be telling teachers where and how to blog, unless they have a proven record of blogging themselves. If teachers are already using the internet, and used to the collaboration, global connections, world-wide feedback and cool web tools, why should they use a system which promotes ‘hiding behind the walls’? I am a trained Lead User as well, but find the Ultranet unreliable at worst and clunky at best. I gave it my best shot, spending hours on writing fabulous blog posts, just to have it all disappear when it would not save. I love technology, but I gave up on it…so what hope does someone have who does not really like technology in the first place? It really reminds me of the analogy of whether you would choose to drive a old Model T Ford when you are used to driving a Porsche…not me! I really don’t believe it will lead to the best outcomes for students if we just push the use of the Ultranet because we are trying to justify it in some way…in the end, it should be about what will lead to the best outcomes for our kids, and how we can best help them to become responsible global citizens. So, for those who are being asked to use the Ultranet for blogging, ask whether the person saying this has tried blogging on the internet as well as the Ultranet, and why they prefer the Ultranet above the internet…start this discussion and see where it takes you. Perhaps it will open the avenues to a meaningful discussion where both sides of this debate can be heard. Thanks for your great comment. Very well said! I too find it quite ridiculous that the people who are advising on blogging aren’t bloggers. I couldn’t agree more with this “I am a trained Lead User as well, but find the Ultranet unreliable at worst and clunky at best.” Like you I invested a lot of time into the Ultranet until I realised it just isn’t meeting my needs or my student needs. Love the car analogy! Will remember that one! I really hope this opens up lots of conversations about this issue in schools. I am shocked that this is even such a widespread issue in schools. There is a big lack of understanding out there! I have been using Global Teacher for a couple of years and had a class on Global student in 2009. With the dawn of Global2, I already have a new 2011 class with a blog and their own blogs linked. We have had some wonderful lessons already about blogging guidelines, commenting and creating Avatars. The whole class is buzzing. Thank you so much for your post, very clear and so many valid points. I too, have already directed my school team to read it. 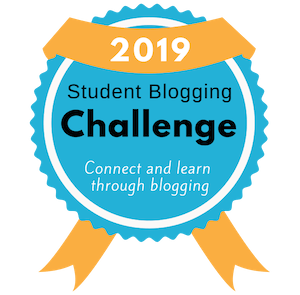 I look forward to taking my students through the blogging challenge and teaching them about digital citizenship and the power of web 2.0 through the DEECD supported and funded Edublogs campus edition. With only three periods a week, I don’t think we will find the time to use any other blogging platform. The Edublogs team are also hugely helpful and good natured about any technical issues. Thanks for your comment. It’s fantastic to hear that your class is buzzing about blogging. It really is that authentic audience that contributes to that buzz, isn’t it. I hope your school team gets something out of the post. As a generalist primary teacher, I have a lot more than 3 hours a week with my students and I still don’t have as much time as I would like to spend on blogging (and we blog every day). So, with only 3 hours a week I can certainly understand that you wouldn’t have time for more than one platform! I agree about the Edublogs support. I am encouraged to invest time in a tool with such wonderful support and commitment to excellence. I’m not familiar with the Ultranet platform, but the sentiment here rings true in a variety of situations. It is important to use authentic tools in the classroom, can other tools provide similar results? Sure. But why not choose the BEST tool for the job? It’s great to hear from someone outside of Victoria and Australia and it’s interesting that you can relate to this issue. Authenticity is so important and really can’t be overlooked. I agree, you have to choose the best tool for the job and I would never use a tool for the sake of it! Thanks for a great post Kathleen. Now I can point people to a well reasoned argument explaining why working outside the Ultranet’s gated community is usually the better option. The Ultranet’s ability to facilitate communication with parents about their student’s performance at school will be great, and there are other activities where the Ultranet’s greater privacy and security will be of benefit, but blogging, wikis and email (yuck!) aren’t among them. I certainly agree the Ultranet will be great to keep parents updated on their child’s performance but I agree blogs, wiki, email…no thanks. It has been suggested on Twitter that Ultranet “blogs” might need another name. People (like some principals) hear that word and run with it without finding out what it means. I think “diary” could be a better term for an Ultranet blog. Thank you for such a convincing and concise post. I have yet to really explore the Ultranet, so can not fully comment, but it appears to me that it would be a case for the proper tool for the proper occasion… and as Mel Cashen and John Thomas have pointed out, perhaps there is a time and place for it. As you have pointed out, we are in an exciting time of teaching digital learners who are part of a global digital community. As with everything else, we need to teach authentically and how can we teach global citizenship and internet safety authentically on a Victorian only website? I have seen the benefits of global collaboration using Edublogs working in 2Km, 2Kj, and 5DB and the level of engagement, authenticity, and excitement it can bring to a day in school. I can’t think of a reason NOT to use it. Can’t wait to see what Global2 has to offer. I agree, I am all about teaching authentically and unfortunately the Ultranet just doesn’t offer that when it comes to blogging! Global collaboration is one of the richest and all encompassing things you could offer students. I’ll be interested to hear your thoughts on the Ultranet when you get to explore it more. Be careful using other technologies aside from the ultranet. I was recently told my performance as ict coordinator was inadequate because our student login data was low, as a result of student using blogs instead. As someone on a contract, this may cost me my job. Beware. I appreciate the warning, however I feel very strongly about doing what is best for my students. As you have seen in this post I believe that I would be doing my students a disservice if I chose an inferior “blogging platform” that the Ultranet offers. If you feel your job is threatened by your choice of blogging platform then I suggest you contact the union and ask for advice. It doesn’t sound fair to me. I have just stumbled across this post and am very grateful for it. I am in the process of trying to get a class blog happening, however, I am needing to convince my principal that an edublog hosted through global2 is a safe and better option than the Ultranet blog. Your post gives me a little more substance to support my case. Thanks for doing this post and I hope you don’t mind if I quote you in my discussions with admin. I’m glad the post helped. You can certainly quote anything and I wish you good luck in your discussions!